While browsing YouTube I stumbled upon a video by Italian artist Andrea Romeo. After visiting his website I found out a little more about the music and the artist behind it. 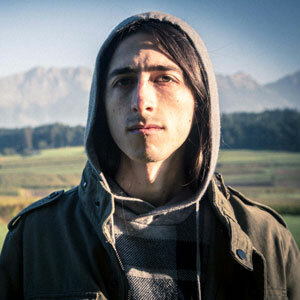 Andrea was born in Treviso, in Northern Italy, his music is purely instrumental and self-produced. In his latest album “Need For Expression” he plays several instruments including guitars, piano, strings, synths, drum machine, bass and various effects. By reading his bio on the website I learned that the album was initially conceived in 2008, but the recording was done later, in 2013 by Andrea Romeo himself with the final mix in Berlin, Germany. The music is described as a mix of multi-dimensional universes and dark spaces. The album itself is very introspective and draws its inspiration from personal emotions and feelings but it also allows the listener to imagine and create her own athmospheres. We can hear all this in his masterful fusion of classical, electronic and post rock music. 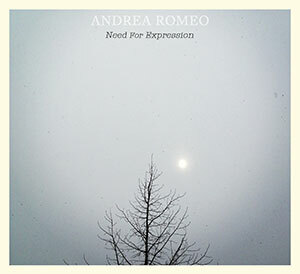 I became quite interested in Andrea’s work, so I decided to contact him for an interview. Italia mia: How old were you when you started to play music and which instrument was? Did your parents or friends have any influence on your music discovery? Andrea Romeo: I was 15 years old when I fell in love with music and decided that the guitar would be my chosen instrument to take me into this journey and it still does. A journey that has witnessed my interest in personal composition and recording growing day-by-day, along with learning new instruments, from the first synthesizer and drum machine, to using computer programs as additional composing tools. In recent years I have been using the piano, an instrument that is now the main part of my compositions as well as used to put down new ideas. My family had little or no influence in my music discovery and upbringing, although we had a piano in the house since I was a kid, due to my father’s passion for the instrument and classical music. I would say that my love for music came naturally, void of external stimulations and developed among a small circle of friends during those early years. We would often listen and comment on the music together, and this was the main focus of our conversations. IM: Who are the artists that influenced you the most? AR: The main artists that I really appreciate for their music and the impeccable technical and musical skills are Red Hot Chili Peppers, I particularly like their lead guitarist, John Frusciante, for his skills as a soloist. I, indeed, have my roots in rock, but later I began to appreciate musical works in which instruments and sounds play the lead characters, like in Mogwai and Sigur Ros music, and in general all the post rock musical panorama. I always liked certain athmospheres where there is a constant evolution of sounds, alternating emotions from relaxed moods to wild roars, where the listener’s personal interpretation is an integral part of it all. Recently I have been listening to works that mix classical with ambient music and electronic experiments; a genre that perhaps best represents my current productions. When I compose music, I try to distance myself from what I have listened to recently and in the past. I try to be more in touch with my subconscious. When I produce, I try to work “on myself”, freeing my mind of other musical influences, listening to my own vibrations, to be honest to myself and to the listener, in a way that I come across as a real and open being. IM: What are your future projects in music? AR: My goal is to make my music known to as many people as possible, and to satisfy a need to share my personal emotions with others. I am looking into starting a tour to feature my new album, and to be more in touch with the audience. Additionally, I will produce more works to express my creativity that needs to come out and live in space and time. IM: How do you plan to promote your work in Italy and abroad? AR: My latest album “Need For Expression” is available in all major digital distribution channels in tandem with the CD print, on my site and also in streaming. I decided that promoting autonomously and independently was the best way to do it. In addition I have produced a video of Heart, the first song from the new album. The video was entirely directed and edited by me with the intent of channeling my music by using imagery. We wish Andrea the best in his musical journey and great success as an artist.